As experts begin their study of the long-term health effects of anti-malarial drugs on service members and others, retirees and other veterans are urging them to consider case studies and medical records. And a long-time critic of the government’s response to concerns about the anti-malarial mefloquine told the committee of experts that he has questions about the validity of the study, because of the lack of data, and “a flawed and biased base” of scientific literature now available. More importantly, he said, the Department of Veterans Affairs should be screening veterans who took mefloquine and providing treatment. The study will have particular emphasis on mefloquine and the new drug, tafenoquine, and will look closely at possible long-term neurologic and psychiatric effects, as well as the potential development of post traumatic stress disorder. The work is sponsored by the Department of Veterans Affairs, and is being conducted by the National Academies of Sciences, Engineering, and Medicine. The National Academy formed a committee of 10 experts in fields such as epidemiology, pharmacology, neuroscience, psychology and psychiatry, who held their first meeting Jan. 28. They’re examining long-term health effects on adults, including effects on service members, Peace Corps volunteers and others. The committee is in the first stages of assessing the information available, and will evaluate scientific evidence, following their tasking from the VA. They won’t make recommendations, but will assess the evidence and consider possible approaches for identifying short-term, long-term and persistent adverse health effects of anti-malarials, said Dr. R. Loren Erickson, a retired Army colonel who is VA’s chief consultant for post-deployment health. 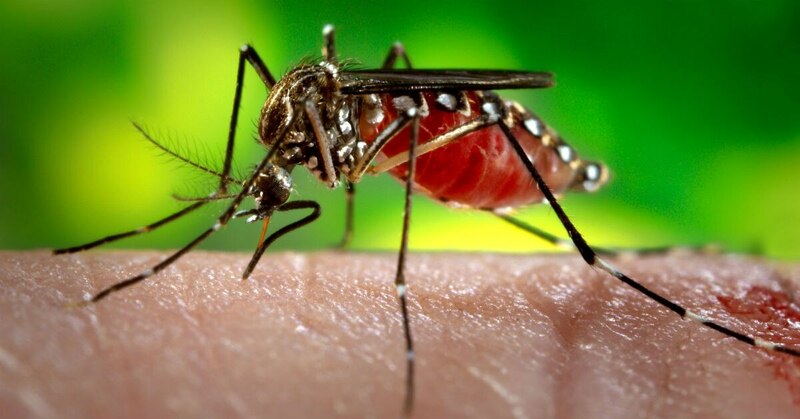 “The whole issue of how to deal with malaria in the year 2019 is an international issue, and how to deal with it safely,” Erickson said. He noted that there were a number of federal agencies represented at the meeting, including the Food and Drug Administration and Centers for Disease Control and Prevention who presented briefings. “We all have an interest in seeking the truth,” he said. It’s not clear whether they will review individual records of service members who have been given mefloquine, as the committee is in the very early stages of their 18-month task. Asked if they will review records of veterans who have brought up issues and concerns related to mefloquine to the VA, a committee member responded that they will try to be receptive to all sources of information available that relate to their tasking from the VA, but have no specific plans yet for information sources and evidence sources that they will review. They’re in the process of assessing the information as they evaluate scientific evidence, he said. Timothy Dunn, a retired Marine Corps colonel, was among those who told the committee they’d be willing to provide information. Dunn said he still suffers from insomnia, anxiety, depression, ringing in the ears, and dizziness. “I know what Tim Dunn was before taking mefloquine, and I know what happened to him after taking it," he said. He was a hard-charging Marine officer who had deployed numerous times to many countries before he took mefloquine for the first time, from September to December, 2006, he said. After beginning his weekly mefloquine doses ― and two weeks before his deployment ― he started having a variety of symptoms, such as technicolor dreams, then anxiety, insomnia, depression and the inability to concentrate. The symptoms worsened when he returned from deployment. “I plead with you to look at this very closely,” said Dunn. In 2013, the Food and Drug Administration issued its most serious kind of warning about the possible neurologic and psychiatric side effects of mefloquine, such as dizziness, loss of balance, ringing in the ears, anxiety, depression and hallucinations. A review petition filed with the U.S. Supreme Court on May 16 alleges that prosecutors ignored key evidence that affected the life sentence of former Staff Sgt. Robert Bales, convicted in 2013 of killing 16 Afghan villagers. Officials from the FDA and Centers for Disease Control gave presentations to the committee about their processes for collecting and monitoring information about problems associated with drugs, and research related to anti-malarial drug use, including some of the limitations of the data. Currently, mefloquine is used by the military only for those who can’t tolerate other drugs. DoD’s office of Health Affairs issues guidance for medicines used, but geographic combatant commanders set the requirements for entry into their area, said Army Col. Andrew Wiesen, director of preventive medicine, health readiness policy and oversight in DoD’s office of Health Affairs. Wiesen told the committee that DoD is committed to providing the best protection available to service members and their families, and that DoD fully supports the FDA’s efforts to evaluate the risk and safety of approved and investigational medical products. There are various challenges that make it difficult to do research on the link between anti-malarials and long-term effects in the military, Wiesen said. For example, some veterans and service members may say they know they took a particular drug, but it may not have been documented in their medical record. There may be incomplete information about when they took the drug, how much, and for how long; and there may be a long time delay between exposure and the effects. A critical step the VA should take now is screening veterans, he said. That could be done by simply asking veterans whether they ever took mefloquine, and if they had any problems resulting from it. This would communicate to veterans that VA takes mefloquine exposure seriously, “something that for many years, it has not,” said Nevin, a former Army preventive medicine officer who is a physician epidemiologist. The evidence the foundation has collected from hundreds of veterans and from government files “leads us to conclude beyond a reasonable doubt that the long-term adverse effects of anti-malarial drugs that you are investigating are in fact signs and symptoms of a disease, and this disease has a name, quinism,” Nevin said. Quinism describes a general family of medical disorders caused by poisoning by the quiniline class of drugs, which includes mefloquine, also known as lariam. He said he was unable to share the empirical evidence his group has collected in the short amount of time allotted for his briefing to the committee.